Prologis, Inc., the global leader in logistics real estate, announced that Prologis European Logistics Fund (PELF) has acquired Mountpark Pilsen in the Czech Republic. The park, acquired from Mountpark Logistics EU, comprises 43,700 square metres of vacant logistics facilities and three hectares of additional development land, totalling 10,000 square metres. It will be renamed Prologis Park Pilsen II. 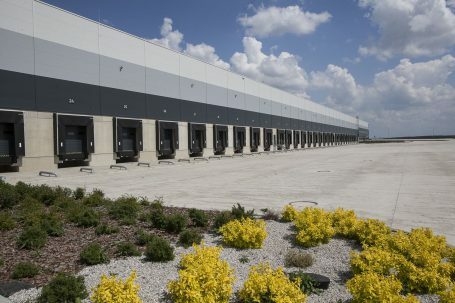 Situated on the D5 highway that connects Prague to Bavaria, 16 kilometres west of Pilsen in the municipality of Prehysov, the park offers a prime logistics location. Regarded as the Czech Republic’s gateway to Europe, it is a strategic manufacturing hub due to competitive wages and a highly skilled workforce. It is Prologis’ second investment in the Pilsen market, next to its fully occupied, 58,500 square metre Prologis Park at Pilsen-Stenovice. Modesta Real Estate represented Prologis during this transaction. Prologis is a leading provider of distribution facilities in the Czech Republic with more than 1 million square metres of logistics and industrial space (as of March 31, 2018).